Mindful.org – Articles, classes, audio clips and lot more. Present Moment Mindfulness-Mindfulness, Practice and Science -Great podcasts, articles and resources. 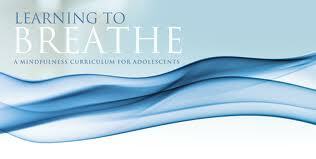 Mindfulness: A Guide for Teachers by Dr. Amy Saltzman. Created as an educational resource in partnership with the Center for Contemplative Mind in Society, this document provides a working definition of mindfulness, an overview of the scientific rationale for offering mindfulness to children and adolescents, a review of the professional and personal benefits of practicing mindfulness, specific suggestions for developing your own mindfulness practice (which is a prerequisite to sharing mindfulness with your students), and two examples of practices you can use in your classroom.